My college aged daughter called me the other day to ask for my advice. She had been offered two summer internships. The first consisted of doing research and writing articles for the online edition of a prestigious magazine. The second involved doing social media for an Internet start up, currently in sketchy "beta" phase of development. Prestigious magazines are folding right and left, but if this one doesn't, it would look nice on her resume. The Internet start up could turn into the next foursquare.com and a permanent job, or evaporate in a puff of smoke before the summer is out. I didn't know what to tell her. I started thinking about how difficult it is to predict which technologies are going to be successful, and how their success or failure is going to impact our world. 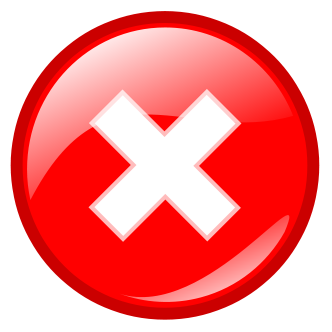 I watched Kathryn Schulz's TED talk "On Being Wrong". The talk's premise is that most of us will do anything to avoid being wrong. But what if we're wrong about that? Kathryn makes a compelling case for not just admitting but embracing our fallibility. If you surf the net, you will see that there are hundreds of people making predictions about social media, what the next iPhone will look like, and whether our web encased children will be able to function in the "real world" when the time comes. Most of their predictions will be wrong. Since everything is changing so fast, all of us are going to be wrong more often. And we are going to have to be OK with that. 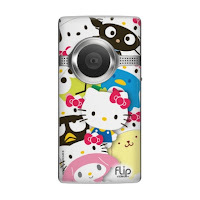 Web Secret #154: Flip Video Cam R.I.P. This post is a cautionary tale about the speed of technological obsolescence. In 2008, I posted a rave review of the Flip Video Camera. Not quite 3 years later, The New York Times reported the demise of the Flip. My colleagues bought them. I bought one for my daughter. The Flip video camera, went on sale in 2007, and quickly dominated the camcorder market. It was a hit and sold millions. In 2009, the founders cashed out and sold to Cisco Systems. April 2011, Cisco announced it was shutting down its Flip video camera division. The Times article stated "Even in the life cycle of the tech world, this is fast." The theory is the Flip died due to advances in smartphone technology and "the ferocious metabolism of the consumer marketplace." "As newer and faster technologies beget newer and faster technologies, consumers move on to the next big thing with alacrity. In four years, Flip has gone from start-up, to dominant camcorder maker, to defunct. It took I.B.M. about four years just to reach dominance with its PC in the early 1980s. The iPad is only one year old." The article concludes, "the smartphone has crushed the market for GPS devices, put a serious dent in the point-and-shoot camera industry and threatens the existence of many other everyday devices — the wristwatch, the alarm clock and the portable music player." Wait a second. I have an iPhone 4. It definitely makes my iPod obsolete, because it has a built in iPod. It does make my alarm clock - when I travel - obsolete. My kids have never worn watches, they check the time on their phones. It does not replace a built in or dedicated GPS device for someone who uses GPS on a daily basis. Most importantly, the iPhone's puny video capability cannot begin to compare to the Flip's. The Flip could be attached to a tripod. You could record an hour's worth of material. It was a snap to download the entire video to my laptop. Smartphones, at least in their current iteration, are no match for the Flip. I love new technology. I love change. But are we beginning to throw out the baby with the bath water? We live in unsettling times. We knew that everything on the Internet was developing at warp speed. But the bricks and mortar world, was, well, bricks and mortar. The cyber world and the "real" world were separate. Now we know that is no longer true. Social media is driving revolutions in Arab nations. It is an engine of change all over the world. Virtual reality is affecting reality. At my presentations, my audience is looking for certainty. Should they join the social media revolution? Twitter or Facebook? Online therapy? By the way, how is the Internet affecting the younger generations? Are cyber addictions real? They want answers. There are no true answers - just best educated guesses. I think we are in for a lot of surprises. Some good. Some not so good. I think that because of the web, we will come to question some of our most fundamental beliefs. Take "We’re in a Bubble and It’s Not the Internet." This blog post is about Peter Thiel's belief that the value of higher education is bankrupt. Because Peter is one of the co-founders of Paypal, and a multi-millionaire, people tend to listen to him. "It used to be a given that a college education was always worth the investment– even if you had to take out student loans to get one. But over the last year, as unemployment hovers around double digits, the cost of universities soars and kids graduate and move back home with their parents, the once-heretical question of whether education is worth the exorbitant price has started to be re-examined..."
Thiel believes that more and more Americans are going to become skeptical about college, as the costs become - already are - unsustainable by all but the wealthiest. He decided to poke a small but solid hole in the "college is a must" mindset. The idea is simple: Pick the best twenty kids he could find under 20 years of age and pay them $100,000 over two years to leave school and start a company instead. He is currently doing just that. How's that for exploding a sacred cow? Only time will tell if this post correctly predicts the future. Everything Is Illuminated. Eventually. We just have to wait. I'll admit it, when I am doing an Internet search - I always go to Google first. It's been that way for many years. But when the search gets more challenging, there are some new alternatives worth checking out. Thank you Website Magazine for the info. 1. Blekko - Haven't checked it out yet? Read my post. Since I wrote that post, January 2011 numbers indicated an average of 1 million queries per day. 2. DuckDuckGo - Gosh, I don't care what this website does, I just love their name. I'll let Website Magazine explain, "...it gives users the most relevant information on websites and search terms without having to click on search results. Local business listings from Yelp, word definitions from The Free Dictionary, Wikipedia entries and content from 13 additional sites are some examples of information users can find." 3. Greplin - Sounds like a character in a Harry Potter film. Instead, this website searches and indexes social media and other resources such as Facebook, Twitter, LinkedIn, Gmail, Google Docs, Evernote, and more. 4. Wajam - No, it's not a tribe from Survivor. Wajam is a socially driven search tool, but unlike Greplin it returns results as part of your experience with Google, Safari, Firefox, Chrome, IE or Bing. Where Greplin searches only the applications that have been preauthorized by the user, Wajam searches the entire Web but with an emphasis on returning personalized results from Facebook, Twitter and other social sites the user has bookmarked. It injects these social results into the search queries submitted to larger engines. 5. Quora - A continually improving collection of questions and answers created, edited, and organized by everyone who uses it. It strives to be the definitive answer site for just about any topic on the web. It is largely human driven, and invites users to ask questions, provide answers and share their knowledge and comments. Questions are organized into different categories that can also be created by users, leading to a wide range and growing index of topical information.